Probably built at the turn of the century , the whitewashed bahay na bato is simple in its lines and in plan. The house has an excellent collection of antique furnishing. Entrance to the house is by appointment only. 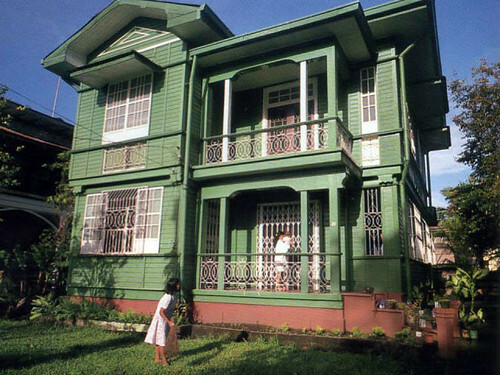 Purchased by the Silay Branch of Republic Commercial Banking Corporation in 1992, the house was restored and was ready for occupancy by 1993. The house is an excellent example of architectural reuse. The lower floor of the house which was rented out to shops has been renovated to house a bank. The bank’s interior, though new, is done in a style consonant to the general design of the house. Heritage Features: The residence is planned as a town house which combines living space on the upper floor with commercial spaces on the lower floor. Art Deco elements, especially in the archways, and the corner entrance and Classical motifs;masques and caryatid and lion heads decorate the house. Ruins of Spanish colonial church built of rubble and coral stand beside the present church. The old church was ruined by fire in 1926 but instead of rebuilding the damaged structure, the present church was built perpendicular to the ruins in the 1930s. Designed by an Italian architect named Verasconi, the church was almost totally funded by the Ledesma family. Heritage Features: The church is an interpretation of Romanesque and Renaissance designs. The prominent Roman arch of the façade is Romanesque, however, the twin bell towers and the dome over the transept crossing is Renaissance. The single-nave, cruciform church is flanked by aisles separated from the nave by a colonnade. Varnished hardwood altars decorate the interior. Floral elements decorate the reredos which are a harmonious blending of arches and niches. 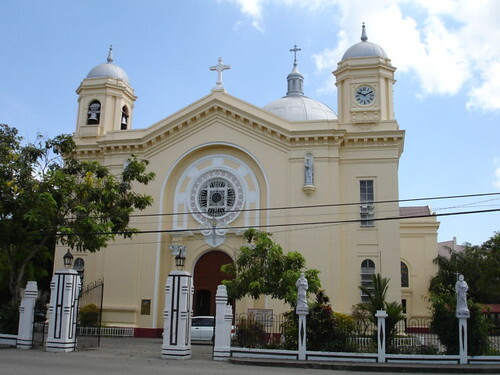 The present cathedral of San Sebastian in Bacolod was built from 1876-85. 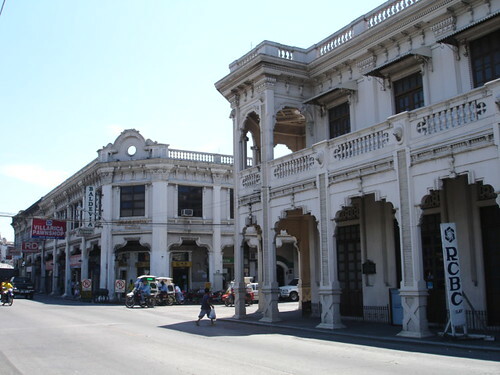 Although the parish of Bacolod was established in 1788 and placed under the secular clergy, Bacolod had no resident priest and so in 1790 was placed under the parish of Bago, then at a later date under Binalbagan. On 11 February 1802, Fr. Eusebio Laurencio became acting parish priest of Bacolod. In September 1806, Fr. Leon Pedro was appointed interim parish priest and the following year became regular parish priest. The parish church at this time was a simple structure of nipa, hardwood and amacan or woven bamboo. In September 1817, Fr. Julian Gonzaga was appointed parish priest. He encouraged migration to Bacolod and the opening of lands to agriculture and industry. He built a church of wood, nipa, and metal roofing at a site west of the present church. 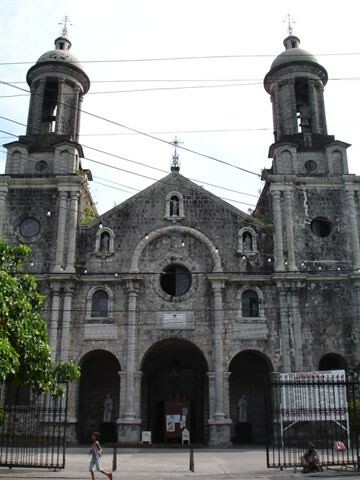 Beginning in 1825, Gonzaga started gathering coral stone from Guimaras to build a stone church, spending most of his annual stipend of 900 pesos to pay for the stones. Gonzaga was unable to fulfill his dream as he died in 1836. 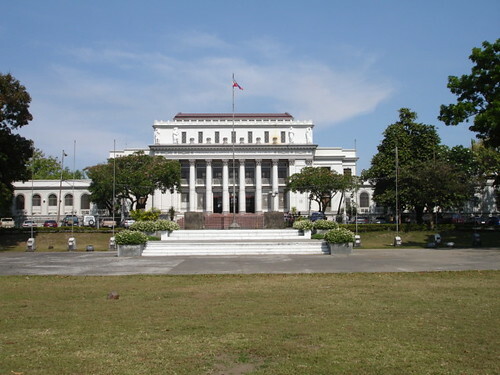 In 1871, administration of Bacolod was turned over to the Augustinian Recollects. Fray Mauricio Ferrero, first Recollect parish priest of Bacolod and successor to the secular priest, Fr. 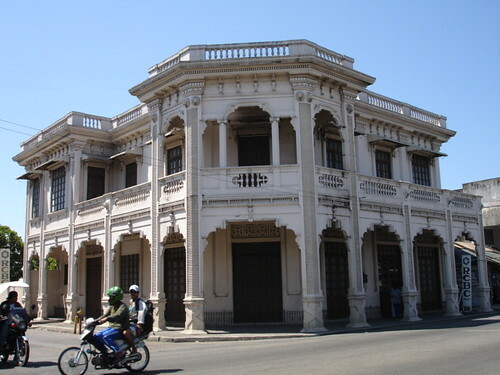 Mariano Avila, commenced building in 1876. The corner stone was laid on 27 April. Ferrero was not just architect of the church and parish residence, he was also employed by government in designing and constructing a jail. In exchange for his services, Gov. Ramon Pastor assigned prison labor to the construction of the church. The church was dedicated on 19 January 1882; however, its twin bell towers of wood and metal were not finished until 1885. That same year Jose Ruiz de Luzurriaga donated a clock for the right tower, the choir loft was completed, and a Schmidt and Zeigler Remscheid pipe organ was installed. 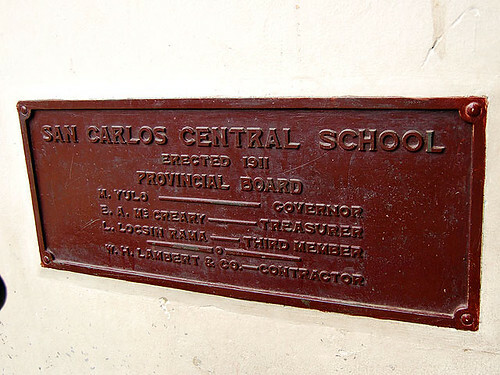 In 1932, Bacolod was raised to the status of a diocese with a jurisdiction comprising the island of Negros, after being under the Cebu diocese until 1860 and Jaro from that year. The church became a cathedral and the convento became the bishop’s house. The church was church renovated in 1969. Its deteriorated bell towers, deemed a public hazard, were replaced by cement structures under the supervision of the cathedral rector, Fr. Antonio Santes. That same year, the pipe organ was removed, so was the silver altar and the ceiling paintings by Don Isidro Maria Lago, a painter in the Royal court. 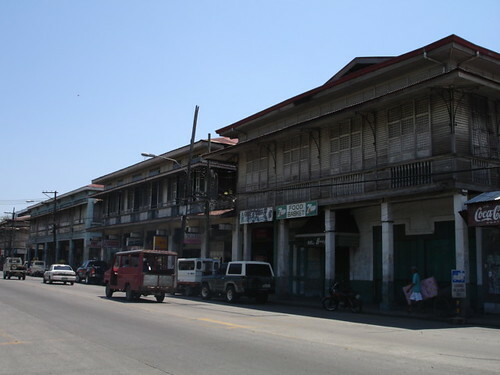 The adjacent convento was begun on 21 May 1891 and completed in May 1894. Bricks from Silay and coral stones left over from the church’s construction were used. The convento had a hardwood floor and a roof of metal sheets. 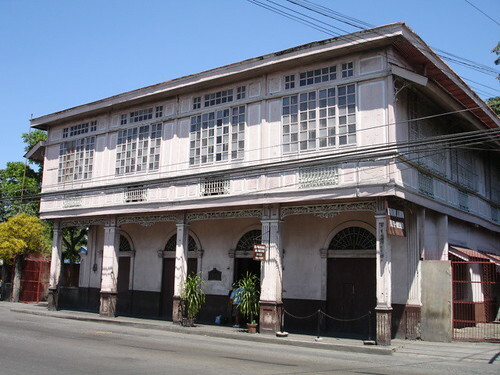 The convento, now the bishop’s house, was partially damaged by a fire in 1985, which also damaged the diocesan archives housed in the Chancery office. The coral stone church, now covered with a thin layer of cement, is classical in temper. The slender bell towers flanking the façade give an eastern European look to the church. The entrance to the church is through a portico composed of three arches of equal dimensions. Flanking the main door is a statue of the church builder Fr. Ferrero. The church interior is simple and chaste, its pleasing appearance comes about because of the pleasing modulation of arches and pillars rather than ornamentation. This feeling is accentuated by the unadorned gray faux vault, minus the figures painted by Lago. In the church yard is a bell donated by Fr. Julian Gonzaga which was removed from belfry in 1976 during the centennial celebration of the church. 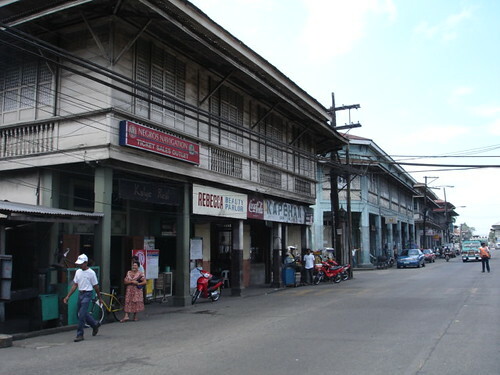 The convento beside the church, is a typical bahay na bato. Its reconstruction after the 1985 fire restored the wooden upper story of the structure. 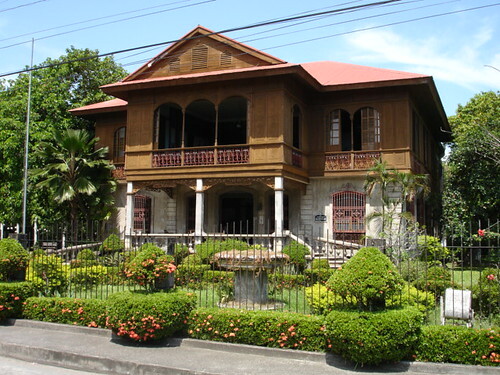 Built 1897, the Balay Negrense is the restored residence of Victor F. Gaston, son of Yves Leopold Germaine Gaston. 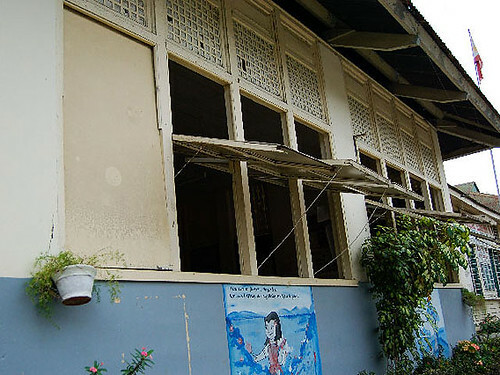 Left unused by the family and after becoming among other things, a dance studio, the house deteriorated until a group from Silay decided to restore the house. By the time restoration began, parts of the house had fallen and its furnishings dispersed. 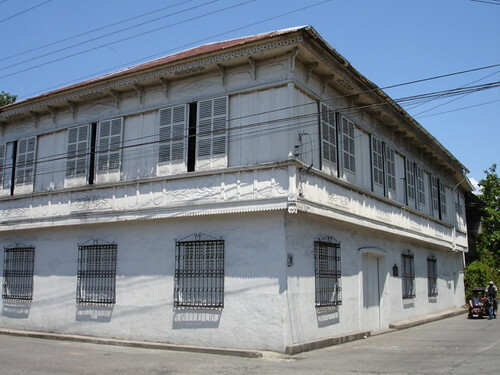 Heritage Features: The house is a later and more airy version of the bahay na bato. The first floor, raised from the damp earth is pierced by windows that make the interior brighter than older houses. The first floor is no longer just a storage space but large foyer which leads to rooms and offices. The lower floor connects to the upper story through a grand staircase. The upper floor has bedrooms flanking the living room. To the rear is the dining hall and kitchen. The upper story is made of wood with generous ventanillas that allow air to circulate throughout the house. The house has been furnished with furniture and appurtenances donated by various persons. Arranged as a lifestyle museum, Balay Negrense is also available for social functions, like wedding receptions. Address: Cinco de Noviembre St.